OEM Manufacturer of a wide range of products which include filtration systems for mbrs, tertiary filtration system, hydraulic filter element, hydraulic oil filters, self cleaning filter and filter fabric. Our company specializes in manufacturing and installing a qualitative range of Filtration systems for MBRs. This system facilitates the use of same fluid on all the machines and creates a uniform pressure. It is used to filter various contaminants such as acid water, bacteria, cysts, chemicals, chlorine tastes & odours. Owing to the quality of these filtration systems, these are widely demanded in process industries. These filters are highly efficient for polishing, seawater, and effluent recycling. 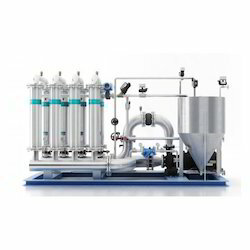 Our organization is engaged in offering an impeccable range of Tertiary Filtration System. These products are manufactured using superior quality raw materials, which are obtained from the most trusted and reliable vendors in business. We have designed and developed these systems by adopting the available latest technology methods. 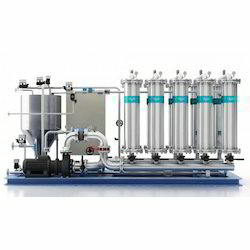 This system facilitates filtration work run in easy and fast way which results in optimum output.